First and foremost, content is king so you need plenty of it. Don’t just publish articles for the sake of it though. Make sure that the content you’re posting is relevant to your blog and is useful for your readers. Have you ever published something just for the sake of making sure you’re regularly writing on your blog? Think about how many views it got and how much interaction it had. It’s likely that not many people were interested because it wasn’t useful to them. They key to publishing good content is to try and think about what your target audience wants to read. Make sure that you’re giving them a piece of information within your post, or a freebie at the end for them to download. Giving them something for free also poses the opportunity to get them to add themselves to your mailing list. You can do this by asking them to enter their email address in order for you to email them their freebie. After that, you will be able to send them regular updates straight to their email. Another thing that you need to make sure you’re doing within the content of your website, is link building. You may be aware that each month, your blog is ranked by a company called Moz. They crawl your website to check for backlinks, internal links, and many other things so it’s a good idea to make sure each article has some useful links for your readers. If you’re not familiar with this, then take a look at some link building ideas to get yourself an idea on what you should be doing. It doesn’t end there either. Once you have got great content, and built up links within each article, you then need to think about how your content is going to be found by your target audience. There is a myth that if you write great content, then your blog will be found. Unfortunately in this day and age, with new blogs and articles being published each day, that’s near on impossible. A lot of work goes into making sure that your content will be seen, and by the right people too. Making sure that your search engine optimisation (SEO) is up to scratch is important too. This is basically where you use specific keywords within your article so that when someone searches for that keyword, your article will be one of the results that shows up for the viewer. 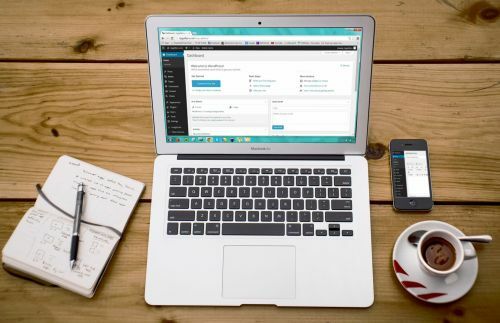 Platforms like WordPress offer plugins for you to download, that will help you write an article that’s SEO friendly. If this is something you’ve not been applying to your articles, try it today and notice the difference in how many organic sources visit your website. Try to make sure the keyword you’re using is something that people would actually search for, otherwise you’re defeating the object of SEO. Now you’ve got your search engine optimisation sorted, you should begin to think about how and where you’re sharing your blog posts. Social media can be a very powerful tool if it’s used correctly. Each social media platform has a different algorithm, and if you can work each one out and use it to your advantage, you could have many referrals to your blog. Here’s a fantastic guide on the use of social media for bloggers. Inviting people to visit and read your blog will also increase the chance of your content being shared by other people to their personal profiles. If this happens, you have the chance of their friends visiting your blog too. Repeat these steps a few times, and you’ve got a post that’s gone viral. Adding the right images is also important to catch the attention of your potential viewers. Don’t forget though, if you’re using an image that’s not yours, make sure that it’s labeled for reuse, and credit the source. It’s common courtesy to credit the artist that took the picture. Sites like Pixabay and Pexels hold a whole library of royalty free images for you to use. Carrying on with the topic of emails, even though getting someone’s email address through a freebie is great, there’s no guarantee that they will revisit your site. Think about the amount of times you have automatically binned an email from a website you subscribed to. To make sure that people return to your site, you need to be offering them a reason to come back too. Customise the emails that you’re sending out so they don’t sound promotional. The more personal that you can make your emails, the better. This is because the person will feel like you’re reaching out to them personally; therefore increasing the chance of them opening your email and revisiting your website. Another thing you should be doing with your mailing list, is sending them weekly, fortnightly, and monthly newsletters. Make sure that you’re putting the most interesting news at the beginning to catch the attention of your readers. A great way of ensuring that they open your email and click through to your website, is to offer them yet more freebies or information that could help them in some way. A great way to do this is to use a program called MailChimp, which allows you to setup multiple ways of people signing up to your content. Different newsletters and emails, and much more. The beauty of having a blog is that you can apply so many intricate designs to it to make it more personal to you. While wild and out there is a good thing, you need to make sure that your blog makes sense to navigate for your reader. Think about when you visit a website that you’ve never been on before. If it looks complicated to navigate around, or things aren’t where you would expect them to be, it’s likely that you will be put off revisiting that website again. Keep your blog free of confusion, and try to base your layout on how other successful bloggers have laid theirs out. Make sure that your contact details are clearly laid out, so that when you do begin to monetize your blog, companies that want to work with you can contact you with ease. Another good idea is to create a price list for the work that you’re offering so that people have an idea on what price to expect when working with you. Check out a price guide for bloggers here. Once you have the layout sorted, you can concentrate on design and making it truly unique to you. Remember, content is king, email marketing is only as useful as the content offered, and your layout needs to be easy to navigate. 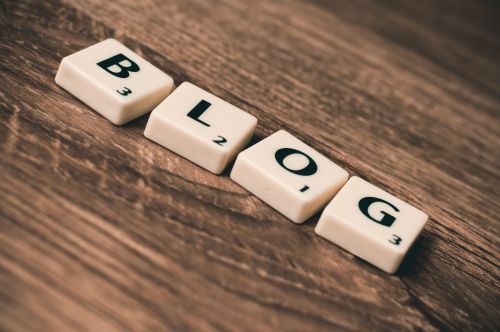 If you concentrate on these three key points in setting up your blog, you should be well on your way to monetizing it.